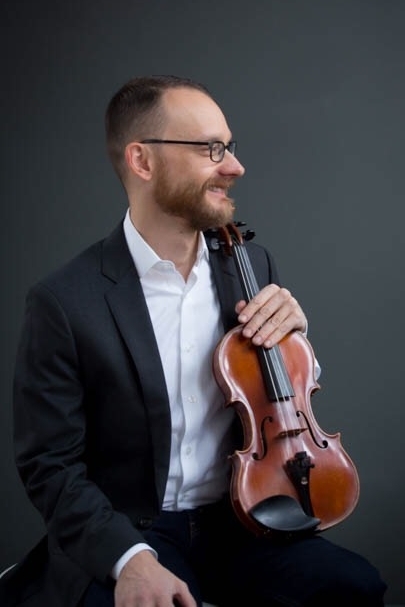 Violinist Blayne Barnes performs regularly with the Seattle Symphony, Seattle Opera, the Oregon Symphony, as well as the Oregon Bach Festival orchestra. During a five year stint in Minneapolis, he performed and toured with the Minnesota Orchestra and the Saint Paul Chamber Orchestra. Blayne has recorded with both the Seattle Symphony and the Minnesota Orchestra, and for the soundtracks of numerous motion pictures and video games. In addition to his performing schedule, Blayne is a well-regarded private teacher in the Seattle area. He received degrees from Arizona State University and the University of Oregon.